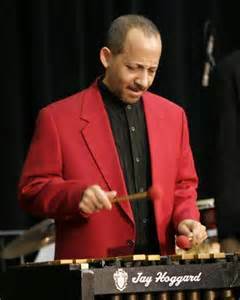 Northampton Jazz Workshop features guest vibraphonist Jay Hoggerd on Tuesday, May 31st, 7:30 to 8:30 PM followed by an open jazz jam until 10:30 PM at the The City Sports Grille at Spare Time Northampton, 525 Pleasant St., Northampton. Jay Hoggard’s music has touched the hearts and souls of listeners around the world for 35 years. Jay draws on traditional and contemporary musical vocabulary to develop new directions for the vibraphone, seamlessly blending jazz and gospel roots with African marimba rhythms. His performance repertoire represents the three B’s of the jazz tradition (Blues, Bop, Ballads) with original innovations. Jay has recorded 21 CDs as a leader, including the recent Solo from Two Sides, Soular Power, Swing Em Gates, The Right Place, and Songs of Spiritual Love. Jay Hoggard is currently a professor of music at Wesleyan University, where for the past 22 years he has directed the Wesleyan Jazz Orchestra and has taught and mentored hundreds of young musicians. Hotel rooms provided by Fairfield Inn, Conz St.